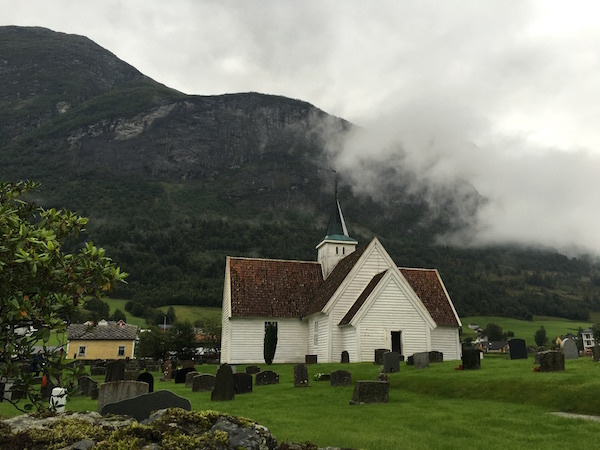 Okay, did you enjoy the church photos of the Olden Churches in my last article on my Norwegian cruise series? 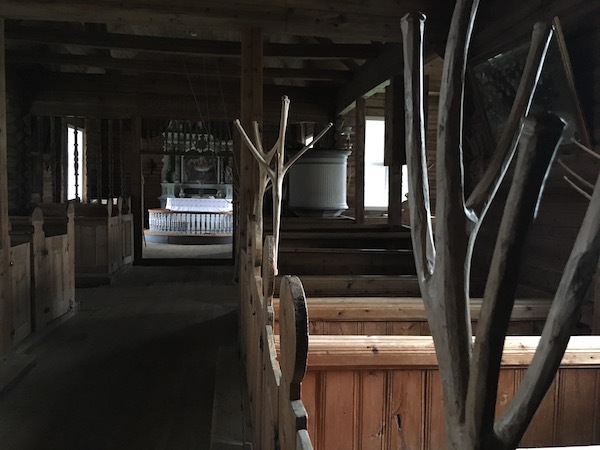 Did you know there’s an Olden New Church and an Olden Old Church? So let’s find out about the interesting dwellings in Olden. The Stave Church is actually at the site of the church where it currently stands right now but only in the foundations. In 1970, excavations discovered coins of the second half of the 13th century in the foundations and the church is mentioned in old historical documents in the early 1300s, which must suggest that the Stave Church was built around 1300. The nave would have stood 11 metres long and seven metres wide, and the chancel about six metres long and five metres wide. Not a big church, but remember, it was a very small dwelling back in the day. What was also more surprising that much of the wood found in the underfloor of the existing church was found to be actually from the Stave church! So, attempts are made to restore this. However, the Stave Church was demolished in 1746 and replaced by a Timber Church. However, there’s very little information as it only stood for eleven years before a gale destroyed it! Now, the church that stands today to be called ‘Olden Old Church’ has been built since 1759. 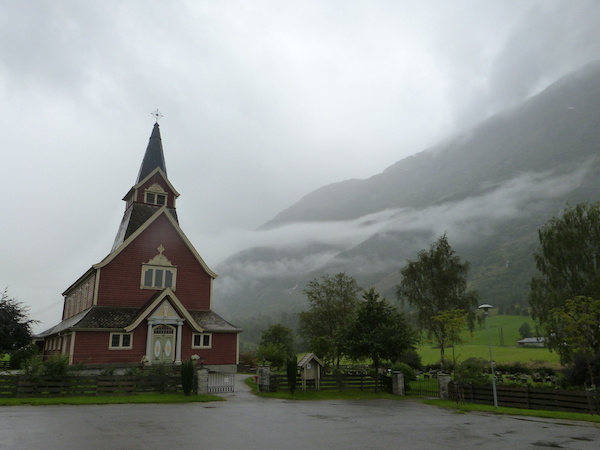 It is the only cruciform church in the Nordfjord district and it has been built in a way to resist strong winds. What I found interesting when I walked inside was that the seating is arranged so that the aisles formed a Roman cross. Each pew are in boxes, each with a door, that symbolised a farm family in the region. Some may bear the family initials or mark. Today, it is usually the site of Olden communal gatherings who bought the church in 1893. It has no electricity or heating and only to be used for special occasions. Such times would be 17th May (National Day) and 29th July (St Olav’s Day) and some summer concerts. There’s nothing much really to say about the New Church. I honesty preferred the Old Church better. However, this is the church that’s in regular use now, its nave seating 400 people. Lit by three simple chandeliers, stained glass windows and a powerful organ, this church was built in 1934 and since been in use. But even so, these two churches must be proud to stand in such majestic beauty of Olden. I know I would be. From what I can see from your pictures, I too prefer the old churches, Rexy. Norway is a truly picturesque country and there are lots of things to see and do there. I’d love to attend a summer concert in one of the churches? ooh, that would be a good idea! Which concert would you love to hear inside? Those pictures are gorgeous! Our customers love your blog, by the way! We’ve been following it for a while now. An interesting post. If I ever get to Norway, I’ll visit this area and drop by for a moment of peace. It would be great to make it in late July and witness either St Olav’s Day celebration or one of those summer concerts held in Olden Old Church.